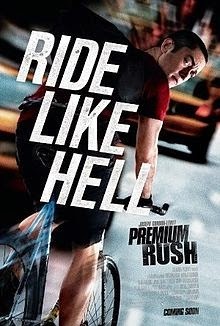 Premium Rush is a high-octane, certified adrenaline-pumping action movie directed by David Koepp (he just recently also directed Mortdecai). It stars Joseph Gordon-Levitt (Inception, Dark Knight Rises, Looper) as Wilee, a Law School graduate who prefers to work as a bike messenger in New York City. The film utilizes the popular technique in movie-telling called the non-linear narrative wherein the movie starts with a scene that is supposed to happen at the midway of the film then starts back up to retell the story. It uses flashbackward and flashforward scenes in revealing its plot. I think its kind of a cool way of bridging scenes together. It also stars Domincan-American actress Dania Ramirez (She Hate Me, American Reunion) as Vanessa and TV actor Wolé Parks (Devious Maids) as Manny, all of them working as bike messengers at the Security Courier Services. Vanessa has a roommate named Nima played by Jamie Chung (Sucker Punch) who has a son still living in China that she wants to be reunited with her in the US. She pays a large amount of money for the task to be done by buying a ticket to reserve a seat for him to a fellow Chinese whose job it is is to bring people from China to the US. A local loan shark learned about the said ticket and employs the services of Bobby Monday who is very much in need of money to repay his towering debts. So ensued breath-taking chase and pursuit scenes. Definitely lots of action. It also stars Academy Award for Best Supporting Actor (for Revolutionary Road) nominee Michael Shannon (Man of Steel) as a corrupt, gambling-addicted NYPD detective as Bobby Monday who owes a local Chinese loan shark lots of money. He was forced to chase Wilee all around New York City because of an envelope that he has been dispatched to be deliver to a certain place. The film has lots of heart-pumping action, intense action sequences and fast-paced thrill-to-the-max joyride and if you're into action movies and a bike fanatic like I am, then this movie is definitely for you. I enjoyed it from beginning to end. 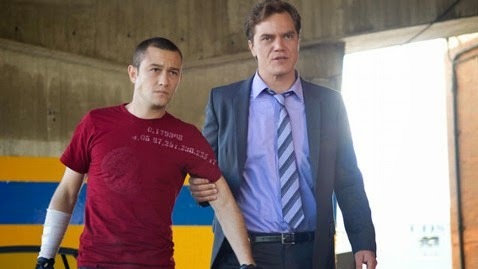 Joseph Gordon-Levitt has the makings of becoming a star to reckon with. I know we will be seeing him in more movies. 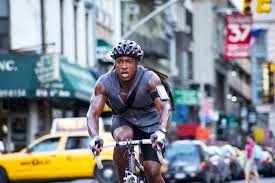 While filming one of the bike scenes, Joseph Gordon-Levitt was injured when he was pedaling too fast and he hit hard the back of a cab, throwing him, thereby shattering its rear windshield causing injury to his right arm which requires 31 stitches to patch it up. 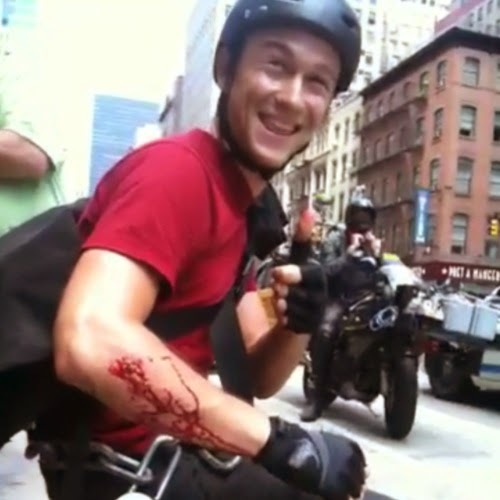 And now enjoy some behind the scenes footages on the set of the movie Premium Rush.